I wanted to put together a quick gift for my kids' teachers to thank them for all they've done this year. Since there's six teachers between the two of them it also needed to be inexpensive. 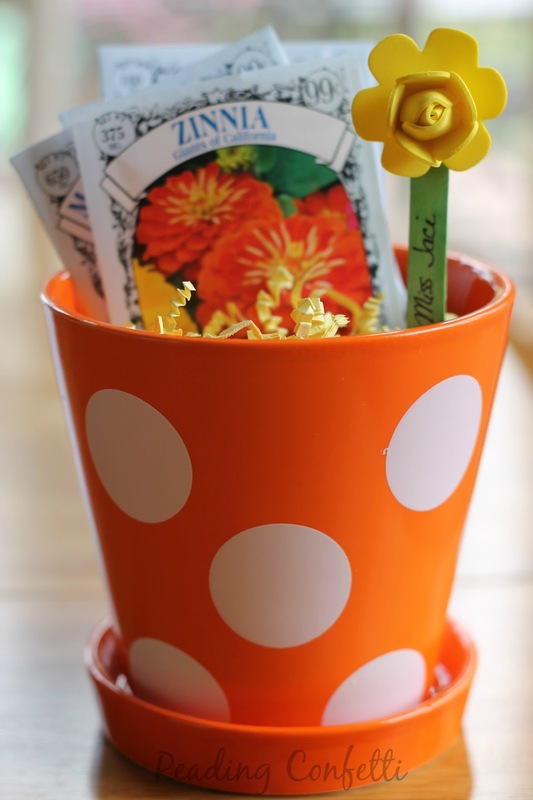 I picked up some pretty flower pots and some packets of seeds. 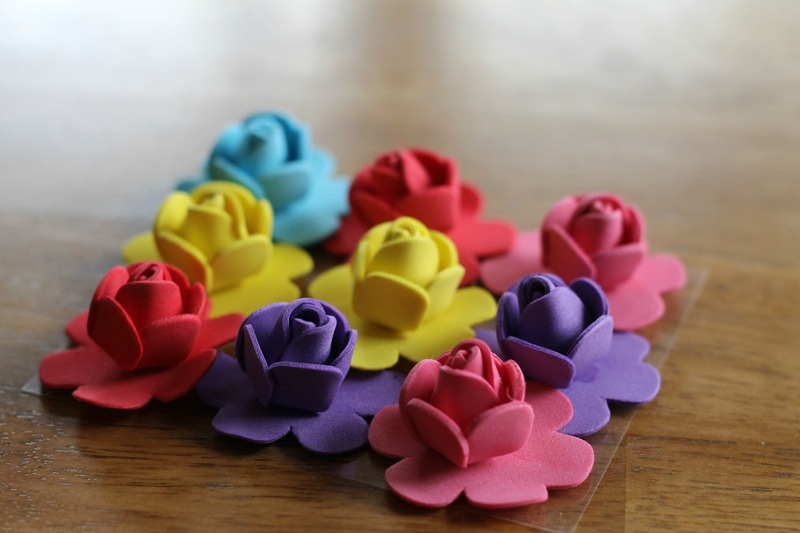 Luckily we also just got a box of goodies from Craft Project Ideas that included these foam flower stickers. 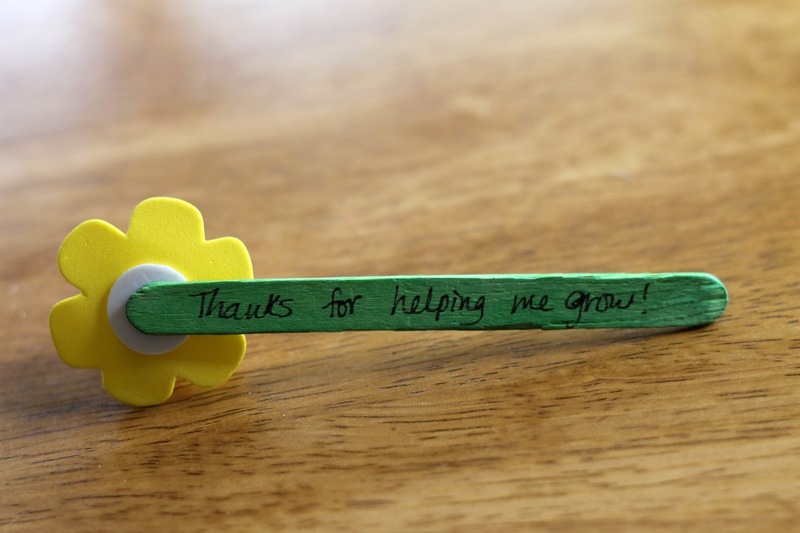 I stuck a flower onto a green craft stick and labeled it with the teacher's name. On the back I wrote "Thanks for helping me grow." My four-year-old daughter loved those foam flowers and has included one on every picture she's drawn in the last week. 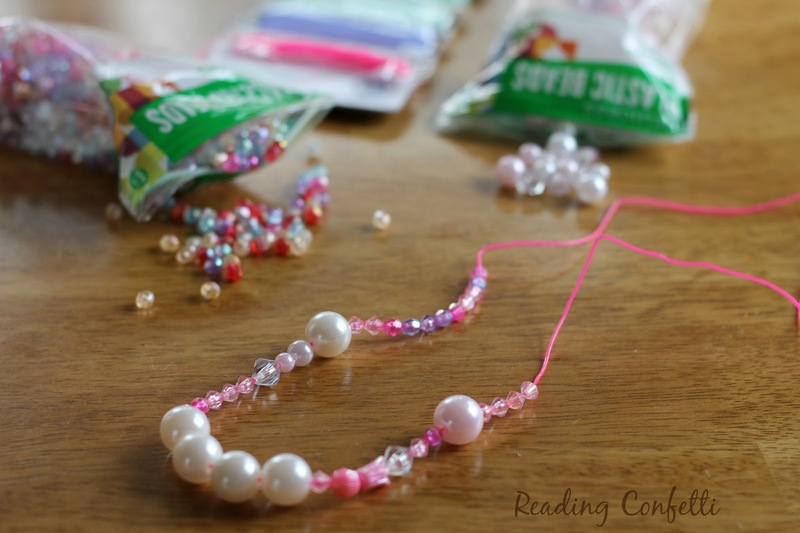 More favorites from the box were the Princess Plastic Beads, Faceted Beads, and Princess Elastic Cord which my sweet girl immediately made into a necklace for me.